Do you want to position yourself as a thought leader in your niche? Listen as podcasting guru, Cliff Ravenscraft, shares his proven, smart and savvy practical tips and tricks to make a strong influence with the power of podcasts. 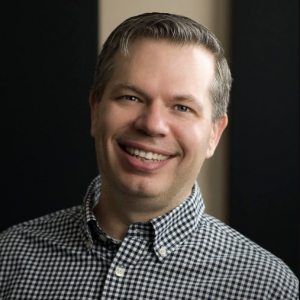 Cliff Ravenscraft began podcasting as a hobby in 2005, and a year later he launched podcastanswerman.com, where he’s since helped tens of thousands of individuals and organizations successfully launch a podcast through one-on-one coaching and online courses. If you were to look at the top hundred podcasts in the business category of iTunes, more than 50 of these shows were created by clients who have been trained by Cliff. Today, Cliff focuses on his role as a business and life coach. He mentors coaches, consultants, and thought leaders through the transition from their unfulfilling day job to their own responsible and profitable online business so they can live the life of their dreams and do the work they feel most called to do in this world.